The newly-retired President/COO of Nintendo of America officially has a new Twitter account. Follow Reggie for more memes. Today is a somber day for Nintendo fans, especially in America, as the long-time President of NOA is officially retiring. Reggie Fils-Aime is hanging up his wiimotes and entering into the next phase of his life, a well-deserved retirement. Reggie had one more thing for fans today, as he has created a new Twitter page. Please take a look. 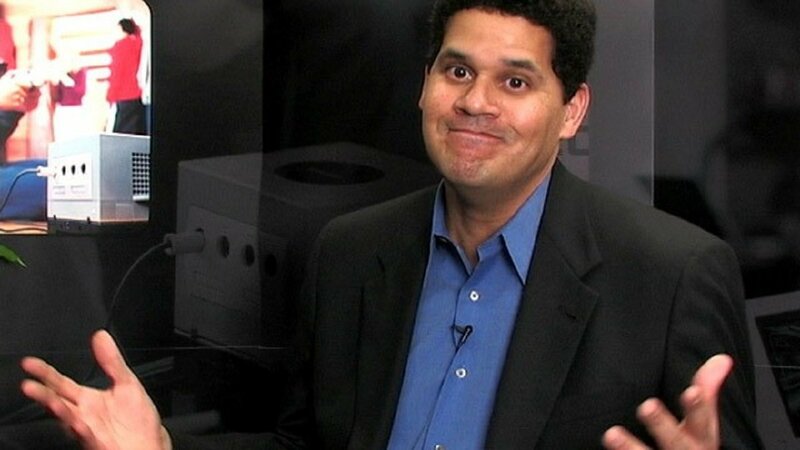 Fans of the Regginator can follow the newly-retired game executive @Reggie on Twitter. This new social media presence for the former Nintendo executive softens the blow to fans of the Big N today, but one has to wonder what took him so long? Was his body not ready or capable of tweeting and operating Nintendo of America? Reggie's Twitter page bio describes himself as an "Active business provocateur." Those are fancy words from a man with a fancy name, but we like that he already has some nice stuff on his Twitter page. Reggie announced his retirement from Nintendo on February 21, 2019. Nintendo of America is now in the clutches of Bowser, Doug Bowser to be specific. "There's one thing I really want to say. Thank you. Thank you for your never-ending support and for your passionate love of Nintendo," said Fils-Aime in his goodbye message posted to the Nintendo of America social media accounts. It appears that future correspondence from Reggie will come to us directly from his brand new Twitter page. This is a nice touch to soften the blow to the Nintendo community today, and we salute Reggie Fils-Aime for his amazing tenure at the helm of NOA. You, sir, know how to do it for Shacknews. What are some of your favorite Reggie moments and memes? Please let us know in the comments section. How the hell was @reggie still available? Maybe he grabbed it a long time ago, but couldn't use it while he was a Nintendo employee. The Master Sword stayed behind. Ready for the next hero to fight for Wisdom, Courage and Power. Thank you, @NintendoAmerica. Yeah, I'm having the same reaction now as I would in 7th grade reading it in Nintendo Power. I love the random Marc Rebillet video on this article, he is so good.